Latest Items Updated Were: Newsletter Page - Easter Newsletter added. 2020 Rallies & News Page - rally added and multi plaque presentation. For Sale / Wants Page - item removed. News Page - Take Aim At Allostock. News Page - Doreen Colls funeral details. 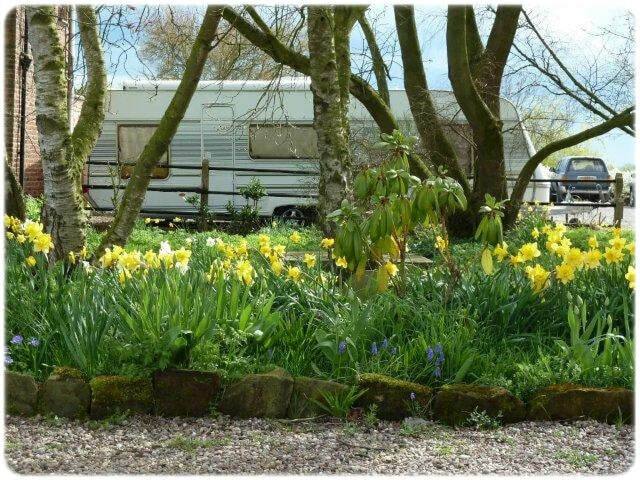 We are one of the 69 Centres listed in the Caravan and Motorhome Club Sites Directory and Handbook and, if you are a Member of the Caravan and Motorhome Club, you may join us without any additional subscription. If you have Joint and Family Membership, they automatically become members as well. Cheshire Centre Rallies are open to all Caravan and Motorhome Club Members irrespective of whether or not they are registered to a local centre. Our members range from 0 to 90 with everyone in-between, likewise, the caravans range from small caravans to large motor homes. However, we like to feel that we are just one large extended family and that help or advice, should you need it, is never far away. The centre organise rallies throughout the year, usually locally, though at holiday times breaks may be arranged throughout the UK and abroad. All of the rallies have their own individual ’character’; some are quiet affairs with nothing organised other than a get together for a cup of tea /coffee while others have organised socials which may be in the local village hall or the field in summer; yet others will have activities organised all weekend long! Participation is entirely up to you, but one thing will always be true, you will always receive a warm welcome. Some rallies are held on commercial sites, often at a discounted rate, other rallies are often exceptional value for money with only nominal charges applied. Please find an electronic version of our rally brochure above this window for your perusal. All up to date information can be found on this web site. Whichever you choose, we are sure that rallying will add a new dimension to your caravanning. We hope to see you on a rally field in the near future. ​‘Photography / videography may be taken at our Centre’s events and rallies. The Centre and Club may use any photograph(s) and / or video(s) they take that includes you, your party and/or outfit in all and any media, including printed and electronic publications, e.g. websites, or promotional materials, in the advertising of its goods or services. The photograph(s) and / or video(s) may be stored for these purposes as well. If you do not want to appear in any shots, please advise the organiser if it relates to a specific event, or the Centre Secretary if for all events. They will do their best to accommodate this and ensure you are able to avoid the area being photographed / filmed.’ Where images including clearly identifiable people are submitted by the Centre to the Club for publication, the individuals must have given the Centre permission to take and use images in all and any media by use of this wording.